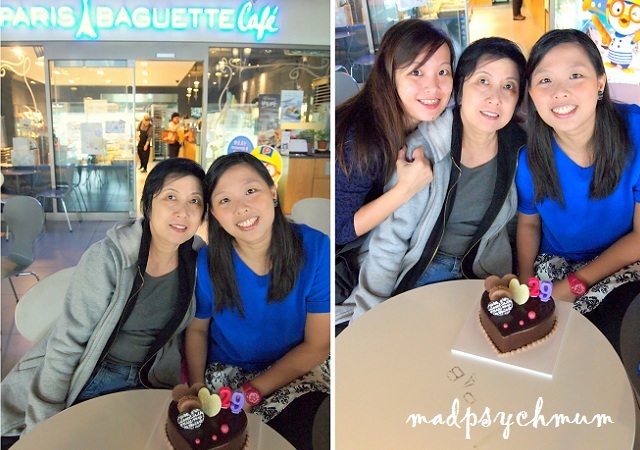 It was my birthday and since it was the first time (I think) that I was celebrating it overseas, I get to pick my favourite cafe, Paris Baguette, for breakfast this morning. As I was enjoying the food and hot chocolate, the family decided to surprise me with a birthday cake to celebrate my birthday. 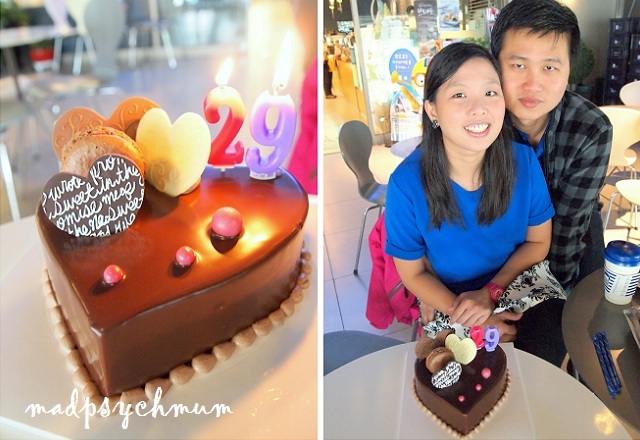 Celebrating my birthday in Seoul! 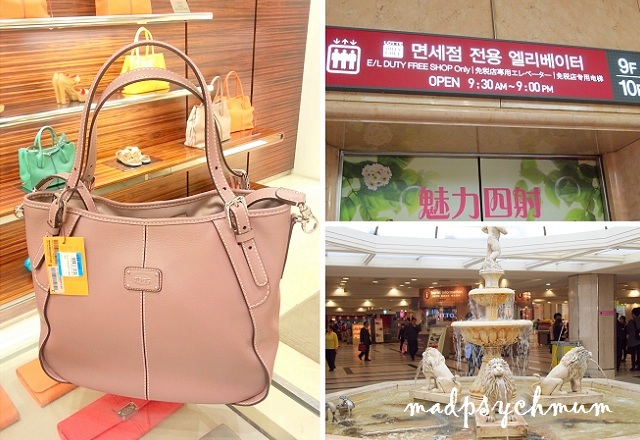 After breakfast, we started our day of exploration by taking the subway from Eujiro 4-ga Station to Jamsil Station (Line 2) to visit Lotte World but ended up spending more time at Lotte Departmental Store. Just note that the way that it works here is very different from other stores in Korea and other countries. Normally, you would pay the full price and then bring the receipt and the items that you bought to the tax refund counters at the airport before obtaining your tax refund. At the Lotte Duty Free Stores however, you pay the tax-free price but collect the item at the airport transit booths just before departure. It's a lot more convenient but may also mean that you would not be able to see/use your purchase until the day of your departure from Seoul. When we were finally done with shopping at Lotte Departmental Store, we made our way to COEX Mall by taking the subway from Jamsil Station to Samseong Station (Line 2). 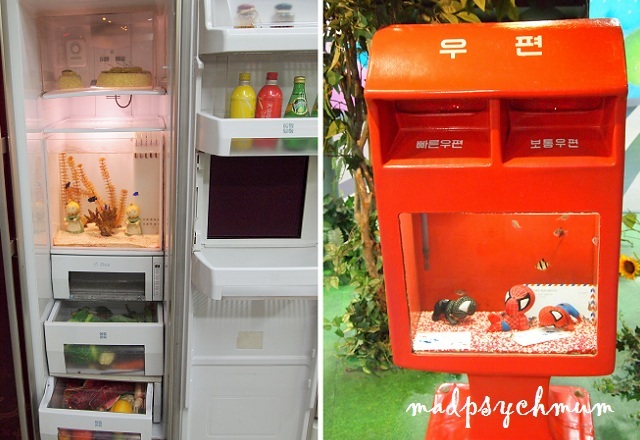 COEX Mall houses a Kimchi Museum and an Aquarium but I was more interested in the latter. 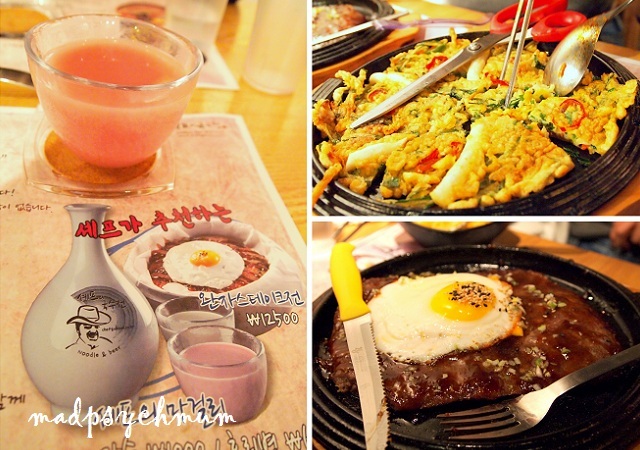 However, as it was time for lunch, we decided to eat at this Korean restaurant before proceeding to visit the aquarium. 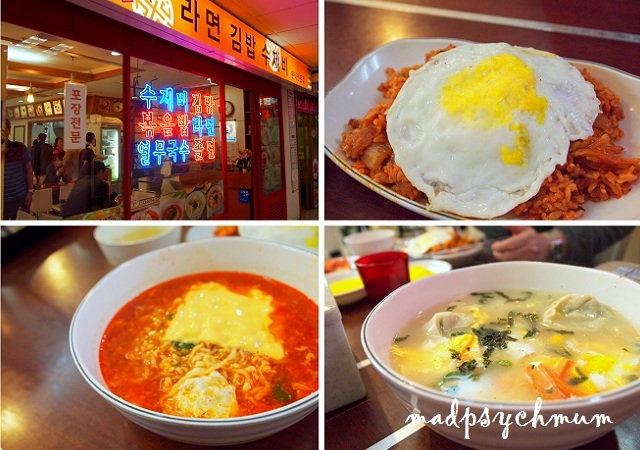 Although the noodles here tasted like Korean instant noodles, they were actually pretty good. Just don't order the dumpling soup, it's super expensive and totally not worth it. 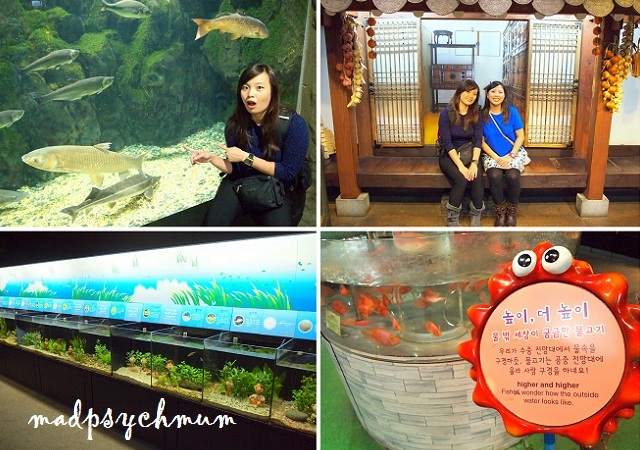 After lunch we proceeded to the COEX Aquarium located quite a distance (about 15 minutes walk) away from the main shopping mall. 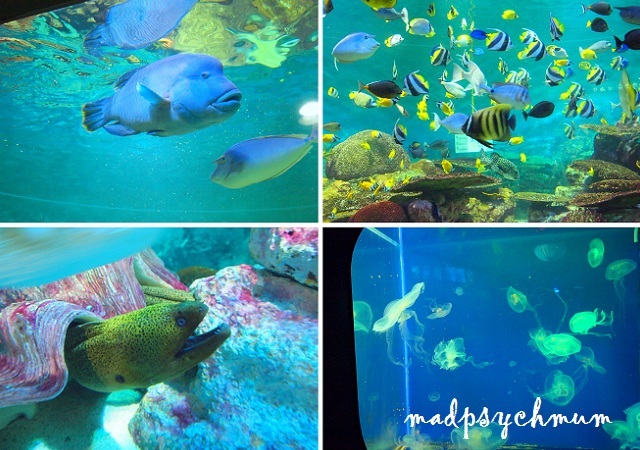 The unique thing about this aquarium was that it actually houses more than just sea creatures, it also showcases different unique land animals. 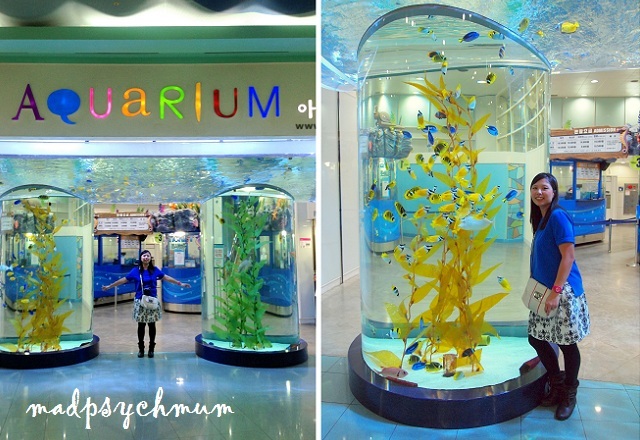 There was also a large aquarium just like the one at S.E.A Aquarium but a lot smaller. At the end of all the exhibits was the penguin exhibit where we happened to see the penguins being fed by the staff. 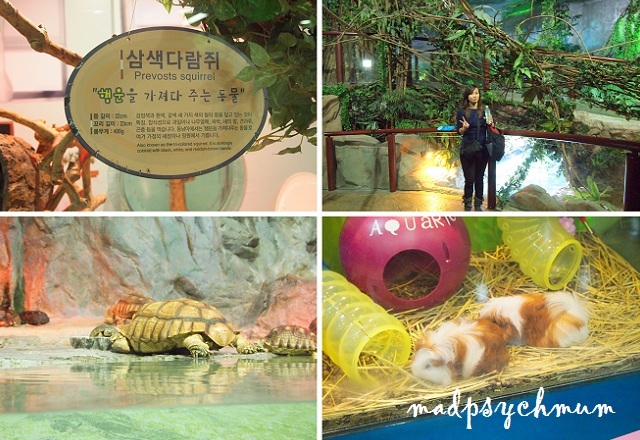 After we left the aquarium, we had to again make the 15-minute walk back to the Samseong Station to take the subway to Gangnam Station where the sister and I shopped for clothes despite our tired legs screaming for help. When we were finally exhausted from all the shopping, we decided to head back to our hotel to unload our shopping loot before looking for a place to have dinner nearby. 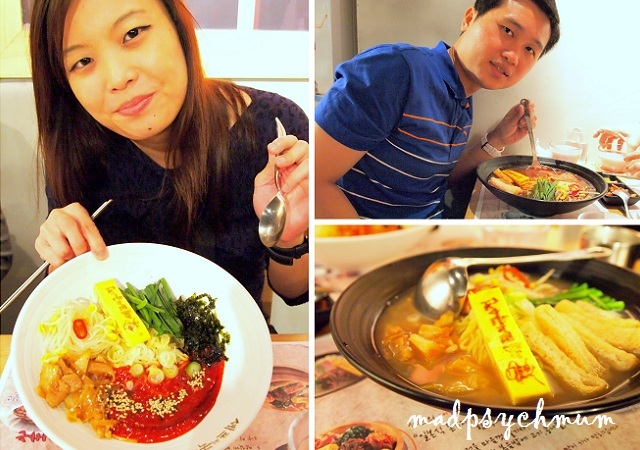 We stumbled upon Chef's Noodle restaurant by Chef Choi. 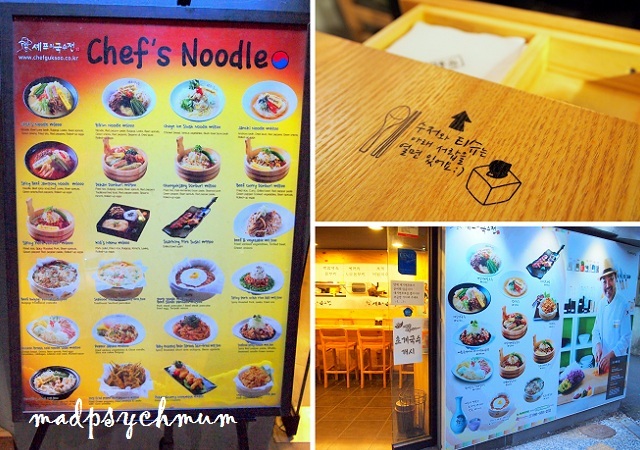 Chef Choi has won many awards and pictures of many celebrities visiting his shop has been plastered outside the restaurant so we figured it must be good. And we were not disappointed! After we've had our fill, we took a cab to Banpo Bridge to enjoy the Musical Moonlight Rainbow Fountain, which is recognized by the Guinness Book of World Records as the world’s longest bridge fountain. Initially the family was super skeptical of whether we arrived at the right place as we weren't sure if our cab driver understood our instructions. Plus, it was supposed to start at 8.40pm according to one website I visited and by 8.50pm, there were still no signs of the fountain starting. We shivered together in the cold for almost 40 minutes before the Musical Fountain finally began at 9pm.